What’s the new Mustang’s big secret? 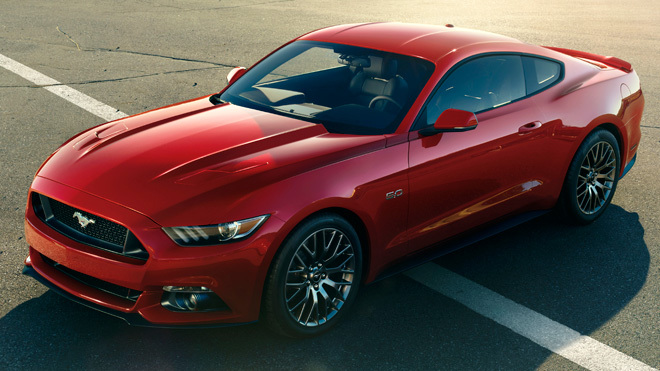 The 2015 Ford Mustang is the most technologically advanced example of the model in its half-century history. Along with an optional 305 hp turbocharged and direct fuel injected four-cylinder engine, and the first independent rear suspension on a standard production ‘Stang, the new car offers a laundry list of electronic goodies. There’s blind-spot monitoring; reverse cross-traffic alert; adaptive radar cruise control; a collision warning system; four selectable drive modes; a MyFord Touch infotainment interface; Track Apps, which has among other things a built-in quarter-mile clock complete with a drag strip-style Christmas Tree countdown timer and launch control on V8 models to go with it. Even the roof on the convertible version opens twice as fast as the one on the current car can. At the New York unveiling of the car, Mustang Chief Engineer Dave Pericak said that his baby has a few more things up its sleeve than what was revealed at the event. But what could it possibly be? Self-parking is old news these days, as is built-in WiFi. Ford already offers configurable ambient lighting in pretty much all of its cars, including the Mustang, so it won’t be that. Automated perfuming? Nope, the Mercedes-Benz S-Class has that for some reason, and the Mustang is a muscle car, after all. The 2012-2013 Ford Mustang Boss 302 came with a special key that remapped the engine tuning to optimize it for track use, but that’s obviously been done before, by Pericak’s team! Personally, I’m voting for a pre-installed nitrous oxide system, but am also guessing that the Feds might have an issue with that. High Gear Media editorial director Marty Padgett suggests a smoky-burnout feature for the launch control for drivers who can’t execute a proper brake stand on their own. This would be awesome, for sure, and is well within the realm of possibility. In any event, it may be quite a while before we find out. The 2015 Mustang doesn’t go on sale until next Fall. Have any ideas while we wait? Let us know in the comments section. 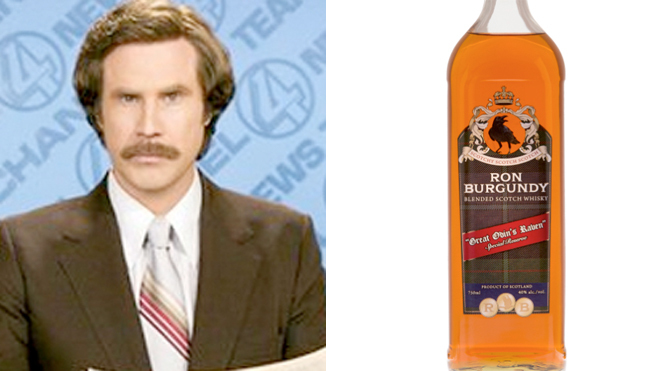 First there was Ron Burgundy Scotchy, Scotch, Scotch ice cream, which was pretty great. But we have to admit that we’re more than a little excited about this latest promotional tie in. Bottled in Scotland, the 40 percent ABV Scotch blend is made with whiskies from Speyside, Highlands, and Islay, and will sell for about $25 a bottle, according to Riviera. “Not just for Anchorman fans,” the scotch is perfect for a night of jazz flute or just pouring in your Scotchy, Scotch, Scotch ice cream. An electric car owner in Georgia is all charged up after spending the night in jail. 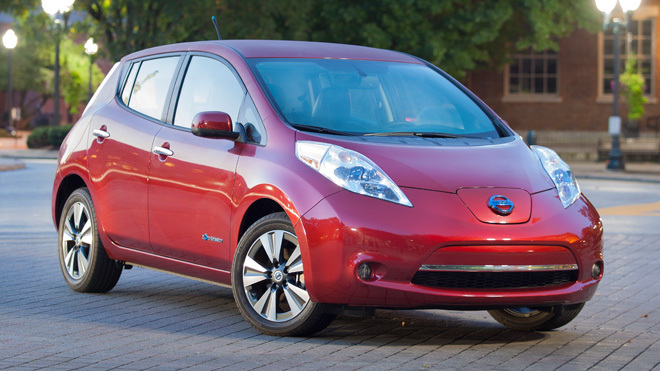 One Saturday in November, Kaveh Kamooneh drove his Nissan Leaf to the Chamblee Middle School near Atlanta to pick up his son from tennis practice, plugging the car in to of the school’s electrical outlets in order to charge its battery while he left it parked, WXIA reports . When he returned to the vehicle about 20 minutes later, a police officer was waiting by it and told Kamooneh that he was going to charge him with theft of the electricity, but let him leave the scene. Kamooneh estimates that he used about five cents worth of power while the car was plugged-in. Eleven days later two police officers showed up at Kamooneh’s home to arrest him for “theft by taking without consent.” He then spent over 15 hours in the DeKalb County jail while being processed. Chamblee police Sergeant Ernesto Ford told WXIA that he decided to pursue the arrest warrant after investigators determined that Kamooneh didn’t get permission from the school to use the outlet. “A theft is a theft,” Ford said. Kamooneh plans to fight the charges, arguing that “not all takings are theft.” He compares his case to drinking water from a school spigot, or plugging a cell phone into an outlet without permission, and says that no records exist of anyone being charged with theft for either activity in the jurisdiction. In the meantime, electric car owners take note: Ford says he’d “absolutely” file charges again under the same circumstances.